When it comes to different departments within the same organization a gap can exist, and marketing and IT are no exception. In fact, these two departments have traditionally been known to go head to head. But what exactly is the reason for the divide? In our opinion the reason is simple: there are structural differences. Both teams share the same objective and goals, but the ways in which IT and marketing approach those goals can differ causing a clash. But here’s the good news: it doesn’t have to be this way, and there are indeed strategies to increase internal efficiencies while also reducing reliance on IT. So let’s get into the specifics and talk about how we best achieve this because truthfully it’s a waste of everyone’s time and energy to engage in a battle over tactics when your primary goal is the same: to engage and delight patients. So what’s the solution? The quick answer: a website that is easy to manage. What this means is that your website should be built as a flexible tool that is easy to make updates, changes and upload content by multiple teams, including: your marketing, communications and HR departments without having to trouble IT every time, or needing in-depth knowledge of codes or technical capabilities. Here are four steps you can take to reduce your reliance on IT, while at the same time create a website that saves time and is easy to manage. The HubSpot platform makes it really easy for multiple individuals or teams to manage. If you’re considering a website redesign, or are curious about what the HubSpot platform can do for you to improve the patient experience, check out this helpful post. Functionality. Professionally designed templates will come with standard “Home”, “About”, “Services” and “Contact” pages. From there, you can work within your CMS to customize these pages, as well as add features such as a blog, helpful resources (FAQs), online customer care and a patient portal. Navigation. Templates are built with navigation tools in mind, and make it ridiculously easy for your patients to find the content they’re looking for. Customization. Your design and visuals are what appeals to your patients visiting your website. Templates provide a great starting point, and then can easily be customized to reflect your practice’s brand. What is the protocol for making website changes? What website changes require a chain of approvals? What website changes can be made on a case by case basis and/or urgent matter? Who has access or permission to make website changes? Bottom line: the more time you spend developing your guidelines, the better you’ll be able to seamlessly manage your website across multiple teams. Don’t rush this step, and take the time to make sure all team members are on board! Are you running into technical difficulties? Are you unable to troubleshoot an issue? While the goal is to help reduce reliance on your IT department (a CMS system can certainly help with this), there will always be exceptions. Your IT department knows their stuff, and website management can be a tricky business, so if you’re experiencing issues or have questions don’t hesitate to bring them into the loop. 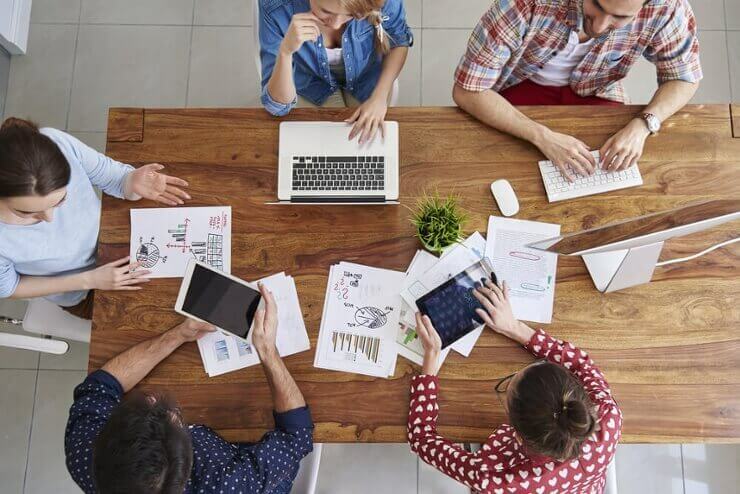 Communication among the marketing and IT teams is critical to ensure you’re working together, and that your website is performing at an optimum level. We know that navigating the website design and management process can be tricky, but with the right resources and tools it can be done. Need some help navigating this process? We approach website design differently than most, and offer a free initial evaluation to get you started. What are you waiting for? Let’s chat! Please contact one of our experts today.